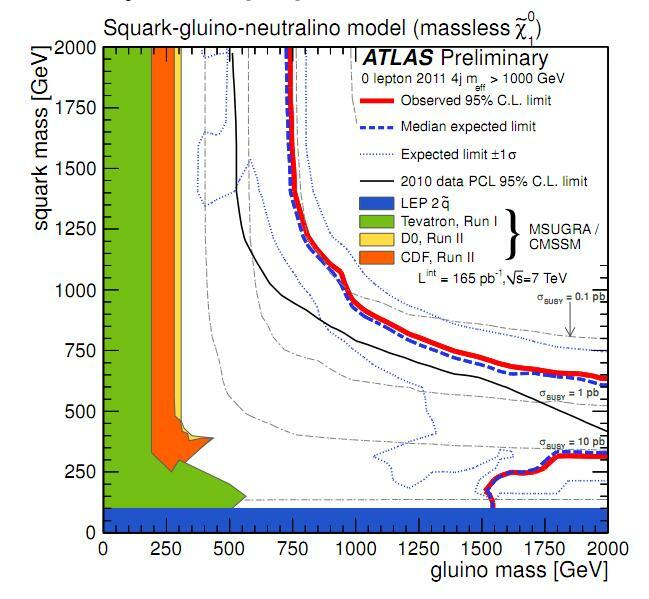 ATLAS have produced new exclusions limits for SUSY (Taffard) models using jets plus missing transverse energy from 1/fb of data. These go well beyond previous limits leading to the conclusion that “SUSY” was NOT “just rounnd the corner” as theorists hoped. Where does this leave SUSY? Well SUSY is a many parameter theory with a lot of variations and it remains the most plausible explanation for many observations. More searches may find it. 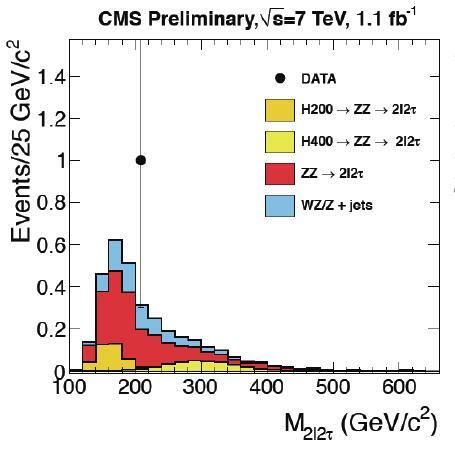 Ultimately it will be the Higgs searches that have the final say. 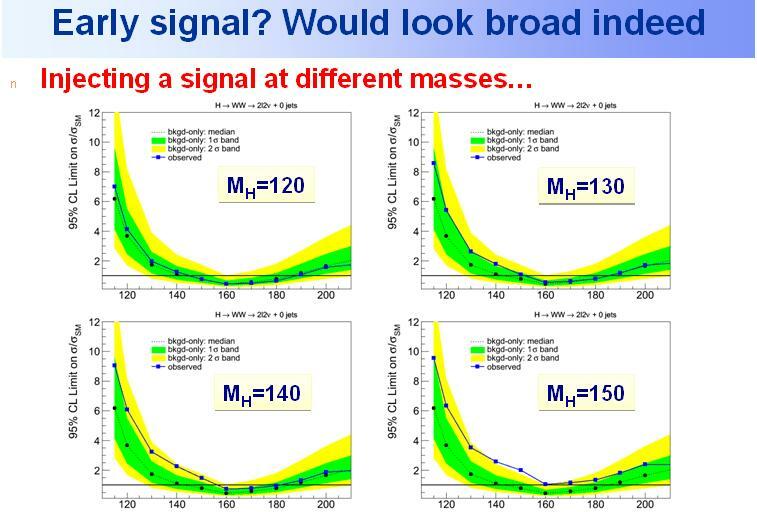 SUSY predicts a light Higgs with higher mass partners. If the Higgs is found to be something different SUSY will be much harder to motivate. Until the Higgs sector is resolved, SUSY lives on. 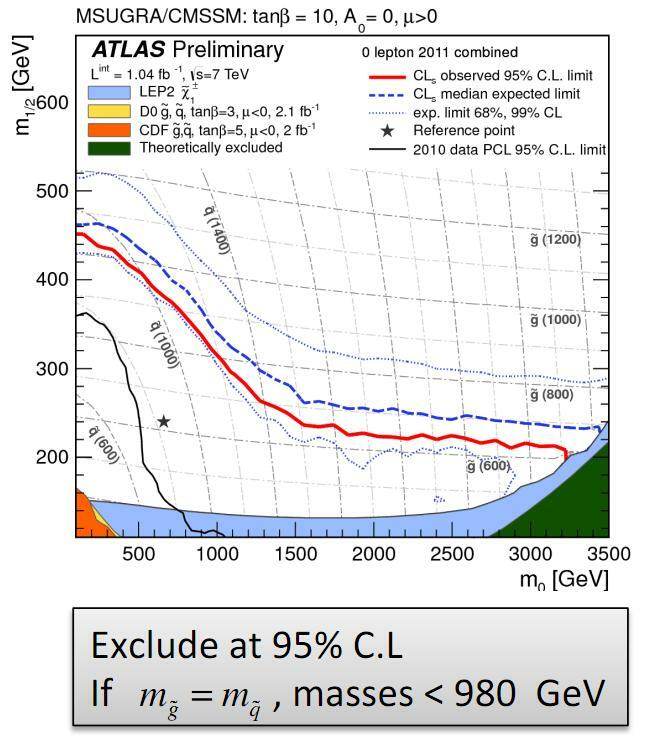 A new conference note from ATLAS using 165/pb of data has extended exclusions for SUSY. Previous published results used 36/pb of 2010 data. 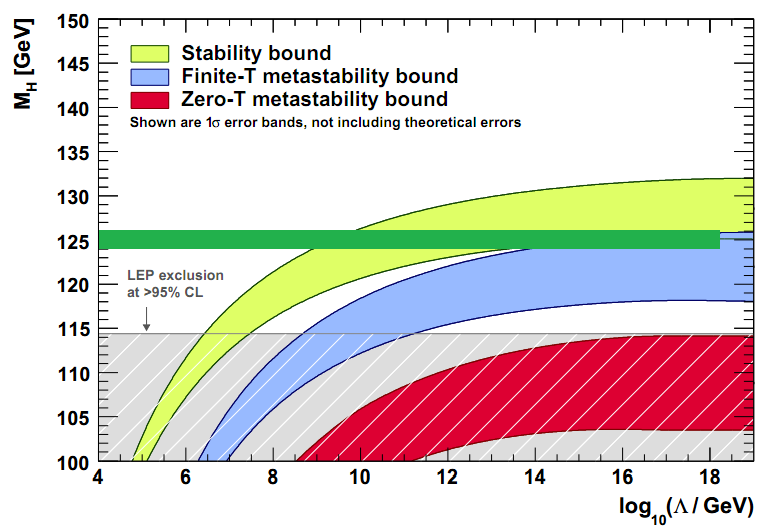 These new findings will be reported at the Physics at LHC conference next week. With 691/pb delivered, further search results will be possible very soon. 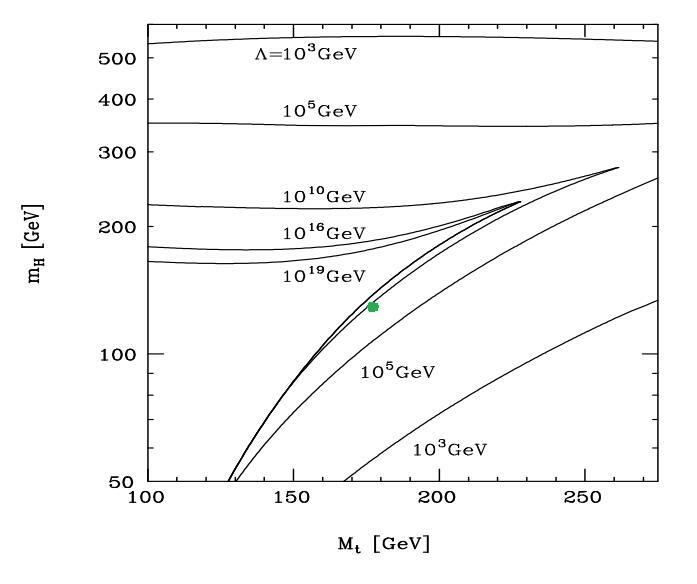 Gluino masses below 725 GeV are excluded in the simplest models. 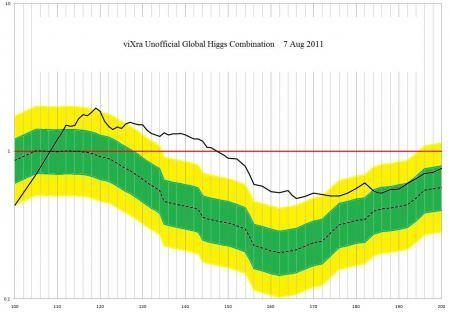 The new limit of the excluded region is the thick red line on this plot. The odler limit using just the 2010 data is the thinner black line. The no-go zone has extended about 200 GeV to the right. 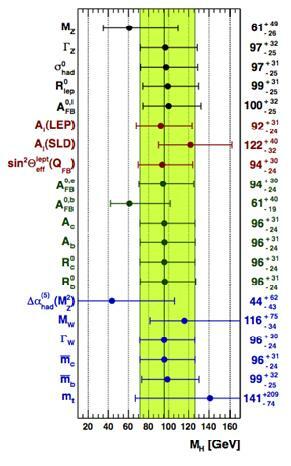 It is disappointing for many phenomenologists that no SUSY signal has yet appeared, but SUSY has a large parameter space and it will take much more data to really rule out the theory completely. It seems likely that if SUSY is not found then something else will prove to be the solution for physics at the TeV scale. 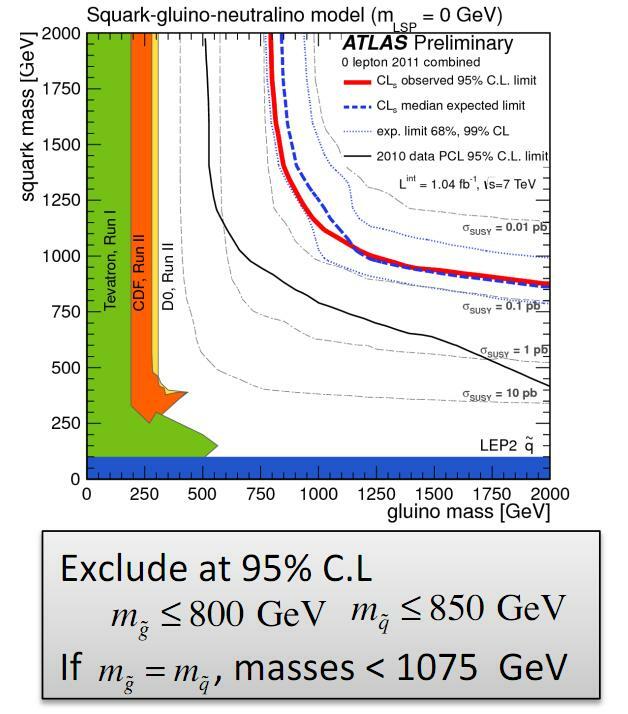 The data from the LHC to be accumulated over the next two years will tell us how the Higgs sector looks. Whether it is SUSY or not, it is likely to be something of interest. You are currently browsing the archives for the Supersymmetry category.